Complete set of 3 caribiner clips for use with A1 Flags & Poles 22′ flag pole. 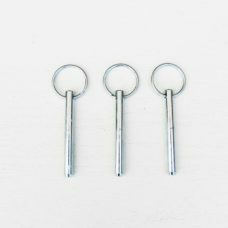 This set of 4 Caribiner Clips for Flagpoles are used to attach the flags to the swivel rubber rings (Not Included) that are on the flagpole. These clips makes it easy to attach your flags to the flagpole. 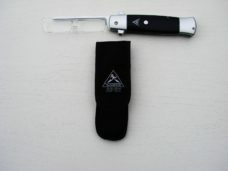 The clips are very durable and should last a long time. 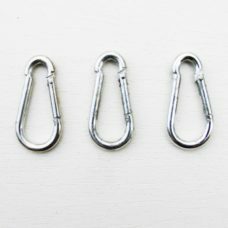 This is a complete set of 3 caribiner clips (rings not included). 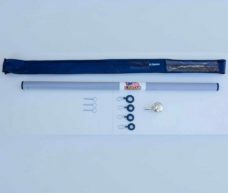 Can be used with A1 Flags & Poles 22′ flag pole. Complete Set of 3 Rubber Rings for use with A1 Flags & Poles 22 ft flag pole. Complete Set of 3 Rubber Swivel Rings For Flagpoles This is a complete set of 3 rubber (plastic) rings (caribiner clips not included). 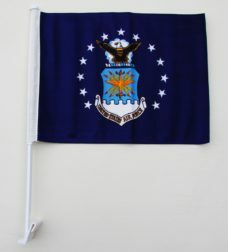 Can be used with A1 Flags & Poles 22 ft flagpole. Rings are Marked “C” is the largest, “A” is Middle size & “B” is the smallest that goes on the Ball Stem. This is a complete set of 3 rings (caribiner clips not included). 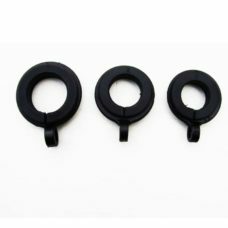 Complete Set of 3 Rubber Rings with Caribiner Clips for use with A1 Flags & Poles 22′ flag pole. 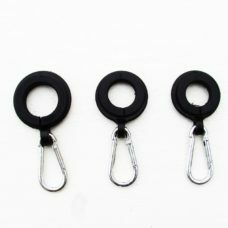 This is a complete set of 3 rings with carabiner clips. Complete set of 4 caribiner clips for use with A1 Flags & Poles 22′ flag pole. 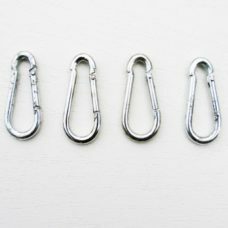 This is a complete set of 4 caribiner clips (rings not included). Complete Set of 4 Rubber Rings for use with A1 Flags & Poles 22 ft flag pole. 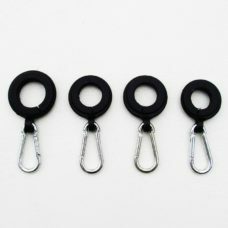 Complete Set of 4 Rubber Swivel Rings For Flagpoles This is a complete set of 4 rubber (plastic) rings (caribiner clips not included). 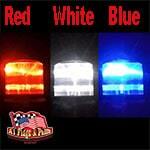 Can be used with A1 Flags & Poles 22 ft flag pole. Rings are Marked “C” is the largest, “A” is Middle size & “B” is the smallest that goes on the Ball Stem. 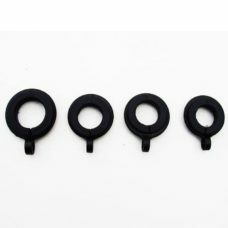 This is a complete set of 4 rubber rings (caribiner clips not included). This is the chrome ball flagpole topper that fits on top of the 22′ flag poles. 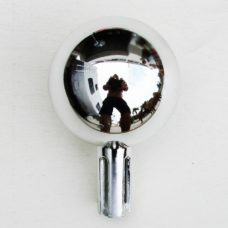 The chrome ball is sometime referred to as a truck or finial by the military. This plastic topper holds the rubber swivel ring “B” at the top of our flagpole. Be careful as the plastic chrome ball topper is fair fragile. 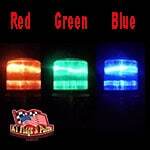 We do have an adapter for fiberglass poles to attach solar beacons lights and globes lights. 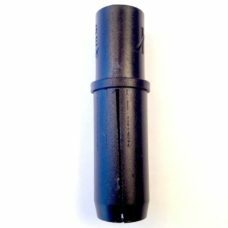 This adapter can be use with truck or finial that have threaded rod. We currently do not carry threaded trucks or finial. This is the chrome ball that fits on top of the 22′ flag poles. Adapter for fiberglass flagpoles to attach solar beacons lights, solar flag lights, globes lights and threaded trucks or finial. When installed in the 22′ telescopic flagpole it also holds the top swivel rubber ring “B” in place. 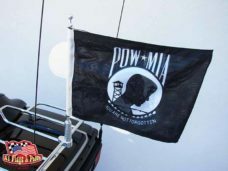 Adapter fits in the end of the fiberglass flagpole, allowing solar beacons lights, solar flag lights, globes lights and threaded trucks or finial to be threaded into the fiberglass flagpole, replacing chrome ball topper.